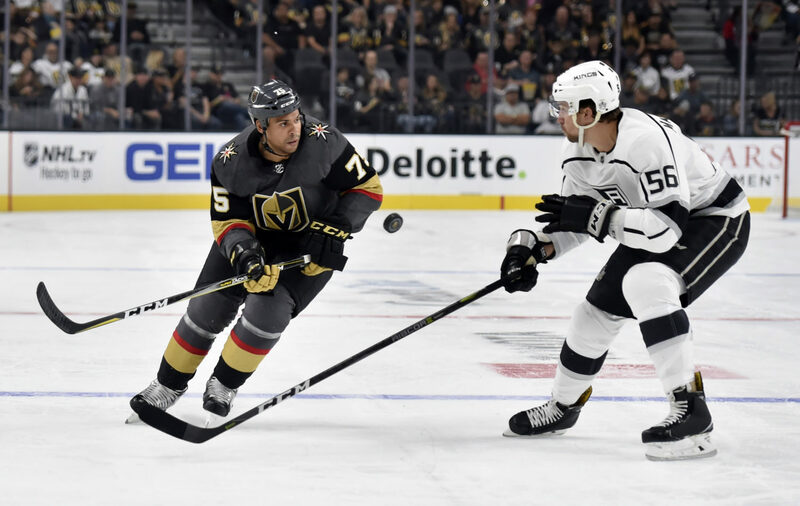 More on the Kings’ roster pare down will come throughout the coming days, but in setting the table for the week to come, the Kings placed Kurtis MacDermid on waivers, as expected. In addition to those players, Luke Witkowski, Dylan McIlrath and Matt Puempel, all Red Wings, were placed on waivers, per Renaud Lavoie. This was covered in detail yesterday; as of 24 hours ago, the Kings were looking at a 22-man roster that included a seven-man defense of Drew Doughty, Derek Forbort, Jake Muzzin, Alec Martinez, Dion Phaneuf, Oscar Fantenberg and Paul LaDue. MacDermid, who signed with the club in September, 2012, days before the start of the NHL lockout, has long been appreciated by the Kings staff for his preparation, toughness, conditioning – I could keep going here – but faced an uphill battle to earn a roster spot with the team’s focus on accentuating its speed and skill and with a deep back end. I did sense a little bit of concern early in camp that he’d draw interest on the wire; as a counter-point, the Kings have had success retaining their waiver-eligible RFAs to two-year contracts that discourage claims by teams looking for quick plug-ins. But MacDermid is a very capable fighter, brings toughness that few in the league can match, and while the pugilistic aspects of hockey aren’t as front-and-center as they were in prior eras, still profiles as a player and excellent teammate that can help NHL teams in more rugged aspects of the game. If MacDermid goes unclaimed, he’d be assigned to Ontario, where there’s already a pack of eight defensemen in Stepan Falkovsky, Rob Hamilton, Alex Lintuniemi, Chaz Reddekopp, Matt Roy, Colton Saucerman, Austin Strand and Sean Walker, with reinforcements of Kale Clague and potentially Daniel Brickley upcoming. Clague, Brickley, Falkovsky, Lintuniemi, Roy, Strand and Walker are signed to NHL contracts in addition to MacDermid. 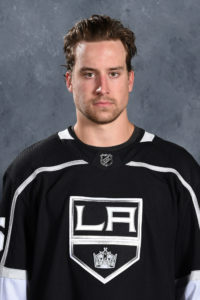 MacDermid, 24, totaled one goal, four points and 57 penalty minutes in 34 games with Los Angeles last season and has 11 goals, 42 points, 334 penalty minutes and a plus-43 rating in 146 career AHL games.